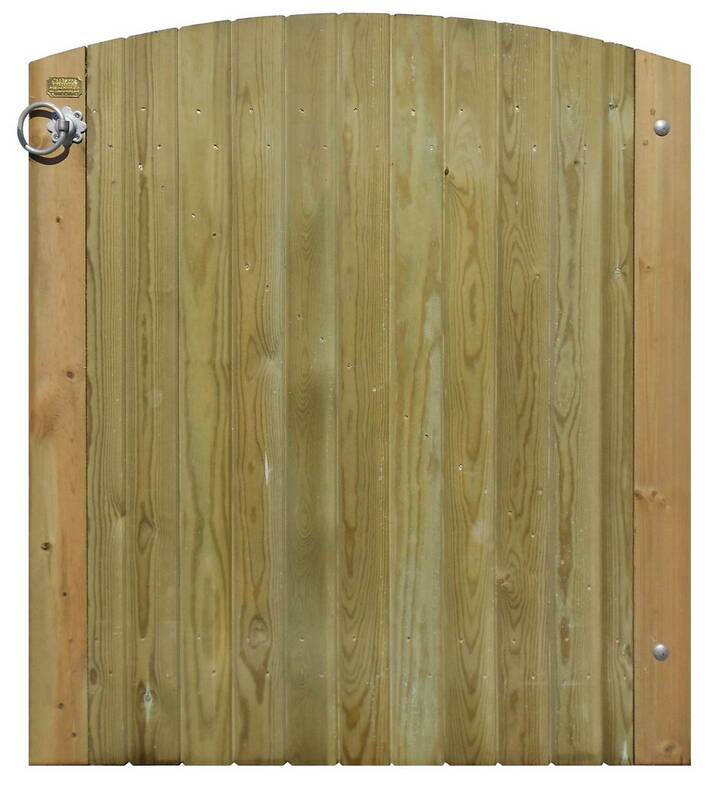 Superior quality Right Hand Hanging 1.15m High x 1.00m Wide Brabourne Boarded Garden Gate. Fittings included: Heavy Duty Ring Latch with Handle, Hinges. Jakcure treated for a 25 year guarantee.